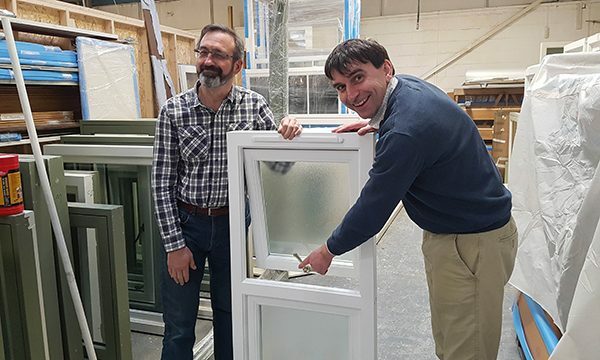 Gowercroft Joinery is celebrating 20 years of manufacturing premium quality timber doors and windows for new build, renovation and heritage projects. Formed 1998, the Derbyshire based company, has gone from strength to strength from a modest three-man joinery team, using second hand machinery, to an award-winning manufacturer with a reputation for quality and innovation and a string of high profile projects to its name. The company was originally formed when David Brown, a skilled joiner, joined forces with Chris Madge, an East Midlands business adviser, with a vision of being a top-quality manufacturer of high-end joinery products. 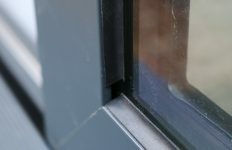 The early years were difficult, with the small team operating from a workshop in Wirksworth, fitting security doors in London and supplying windows and doors to a laminated oak products marketing company. “In those days we were reliant on old 1960s machinery plus a lot of grit and determination. We worked long days, often amounting to 100 hours a week, just managing to break even and pay all the wages,” recalled Chris Madge. However, by focussing on the development of its own high-quality product range, the company was able to expand its client-base and, with David spearheading the sales, soon gained a reputation for outstanding customer service and the ability to take on very challenging bespoke projects. With its meticulous “Its got to be right” perfectionist approach, the Gowercroft team won major London contracts from developers, who had previously been let down by other suppliers, leading to a number of lucrative projects including a major development on the Bishops Avenue, reputedly the most expensive street in the capital. “Our resilience, flexibility and determination to deliver top quality enabled us to punch well above our weight in those early days, as we took on ambitiously large and demanding projects. It is an approach which has stood us in very good stead ever since,” says Chris. In 2008, the move to their current larger premises in Alfreton, Derbyshire marked another step forward with the company investing in a better-equipped factory, whilst benefitting from the area’s excellent road network and access to a skilled local workforce. Then, with the appointment of now Managing Director Andrew Madge in 2011 and Production Director Darren Young in 2013, Gowercroft started to develop into the streamlined operation that it is today with a highly motivated team of 46 committed to delivering industry leading performance, design innovation and service. 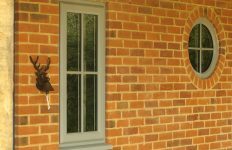 Last year the company launched its revolutionary new Winston and Richmond Heritage windows, specifically designed for listed properties. With their unique combination of traditional joinery, ultra-thin Pilkington Spacia™ vacuum glazing and a bespoke a micro-porous paint system, they have not only wowed the conservation market but scooped a 2017 Build It Award for ‘Best Windows’. Recognition of the company’s expertise has continued to increase with a number of prestigious projects including Winston Churchill’s former home and the high profile ‘Photography Studio for Juergen Teller’, which was shortlisted for the 2017 Stirling Prize. 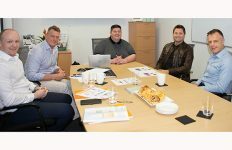 “We are so proud that by persevering through the hard times and remaining true to our core principles of quality, innovation and service, we have transformed a small local business into a highly successful national enterprise with an industry wide reputation and we are confident of a bright future ahead,” said Chris.